Bengaluru, 2nd July 2017: The 34th Youth National Basketball Championship for Boys and Girls entered Day 2 today at the Indoor Stadium, Gachibowli in Hyderabad. Mr Narendra, MD of APLL, which is one of the sponsors of the event, and his wife Smt Aruna were the chief guests for the Telangana girls’ game played in the evening. For the Telangana boys’ game Smt Sofi Sam, the only international women’s player from Andhra Pradesh/Telangana was the chief guest. In a significant league encounter this morning, last year’s runners up Uttar Pradesh continued to shine at the U16 level this year too, beating Punjab 68-62. UP (1-0) and Punjab (1-1) are both teams favoured to reach the decisive stages of the Championship so this clash between these strong teams was an excellent appetizer for things to come. Punjab centre Princepal Singh, who is already dominating at the National U18 level and only last month helped his state win the Junior National Championship had 21 points today, but it paled in comparison to UP’s Priyhanshu who scorched his way to 42 game winning points. Scores were tied at the end of the first quarter and remained almost neck and neck going into the halfime. Q3 saw UP pull ahead thanks to 5 straight points by Priyhanshu and by the start of the fourth period UP was up by 8 points, 54-46. Punjab’s Akashdeep Sharma hit 5 threes to complement Princepal, but eventually it was UP that secured the W.
Maharashtra boys beat Chhattisgarh by 1 point, 54-53. This was after they upset Tamil Nadu yesterday 69-67. Maharashtra is now 2-0 and is the top placed team in Group B, with 2 matches still to be played. Just like in the game against Tamil Nadu yesterday, yet again, it was Maharashtra’s captain Tanay Thatte who came through for his side. Tanay’s match-high 25 points also included two clutch freethrows in the final few seconds that secured the win. 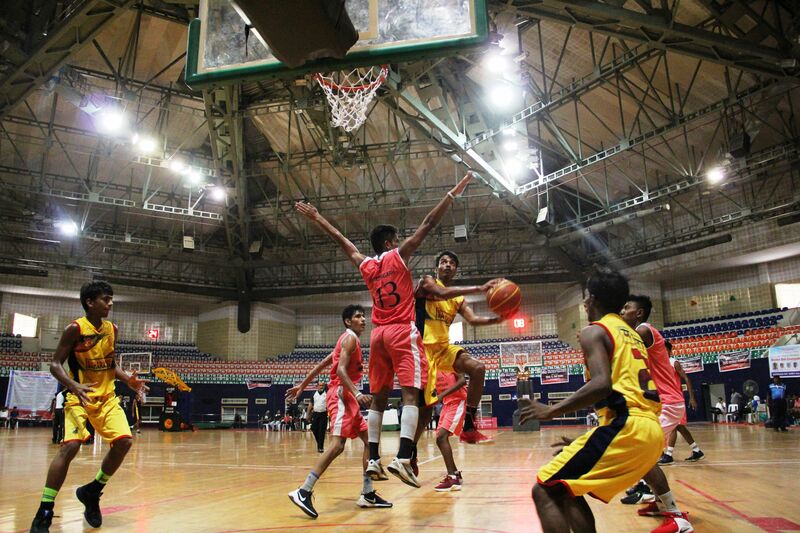 Earlier in the morning, hosts Telangana boys opened with a lopsided 59-10 win over Puducherry in lower Level 2 action. Telangana will need to top its Group F and finish among the top two Level 2 teams in order to progress to the knockout stages. In girls’ Level 1 play, Kerala overcame the disappointment of yesterday’s loss to Karnataka by beating Uttar Pradesh 69-48. Balanced scoring by Kerala, with 4 players posting 15 points or more made it hard for UP to contain their talented opponents. Defending champions Tamil Nadu girls had an easy victory over Punjab, while Karnataka continued to impress by beating Chhattisgarh 57-44. 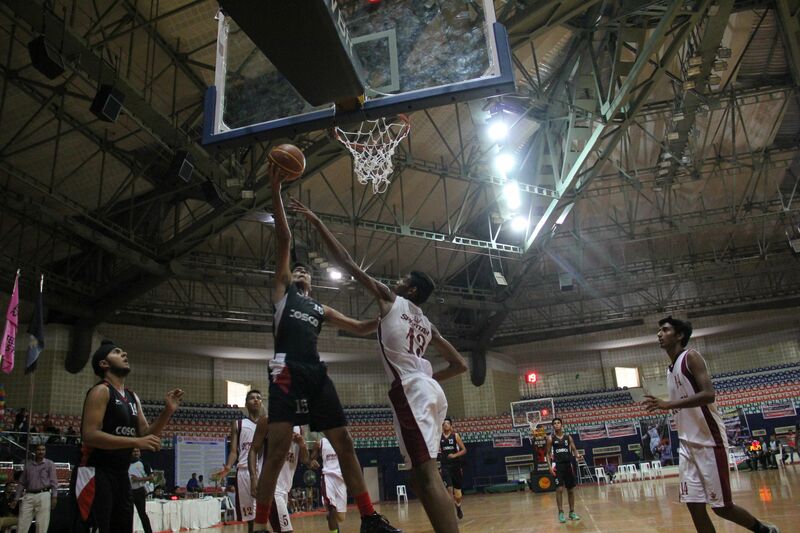 Later in the evening, the Telangana boys returned to action against Goa, effortlessly beating them 67-22. Telangana boys will now face off against Andhra Pradesh in a blockbuster clash that will decide the winners of Group F. The Telangana girls meanwhile also cruised past Jharkhand 50-16 to go 2-0 in their group with one match remaining. Telangana (Vinay Kothari 11, Vighneshwar 11, Sumant Marni 10) bt Puducherry (P Pavithran 6) 59-10 [22-4, 17-0, 14-4, 6-2]- This match was originally scheduled to be played on 1st July but was subsequently postponed. *The Tripura boys team has withdrawn itself from the Championship.